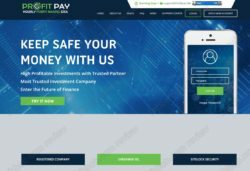 This quick review explains that Profitpay is an investment scam that has to be avoided. Profitpay claims to be an automated investment platform. People who run it allegedly trade cryptocurrencies. They offer one investment plan that is supposed to give you 45% daily on your investment, which means 1350% per month. Is this absurd number possible? 1350% per month really is just an absurd number that cannot be achieved in any legitimate business. It simply means that Profit Pay is a scam. It obviously is a Ponzi scheme, which means that new deposits are used for withdrawals. Such a scheme works only when there is more money being deposited than withdrawn, which of course cannot last long because of the absurd 45% ROI. Therefore, Profitpay is destined to quickly collapse and lose money to investors. 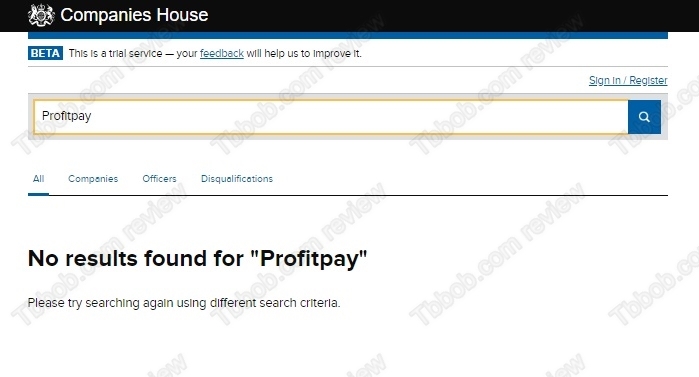 Profit Pay say that it is a registered company, but it is not. It provides a British address, but it is not registered with the Companies House. It of course doesn’t have a licence to provide investment services either, which means that it is not regulated and that it is an illegal service. Profit Pay is a scam, an illegal financial game that will lose money to people who invest with it. Stay away! If you want to try real crypto trading, start on a free demo with a regulated broker so that you don’t risk anything. On the demo you can practice and build a profitable strategy before eventually investing real money.